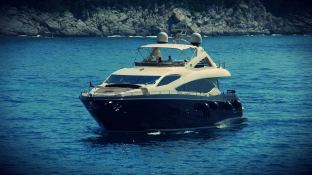 This Sunseeker Yacht 86 is the perfect choice for memorable and wonderful vacation in Croatia. 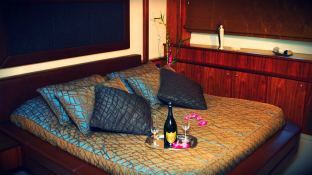 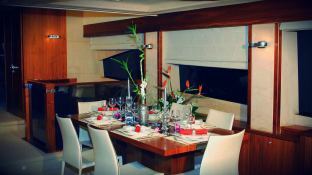 This magnificent yacht offers accommodation for 8 guests in 4 cabins with private bathroom. 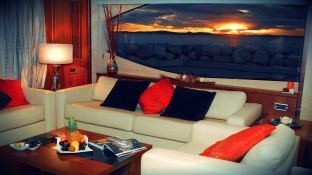 The interior of the Sunseeker Yacht 86 is elegant and cozy with dark wood and large windows. 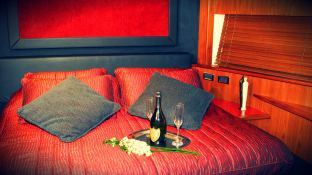 The flybridge has all the equipment you need: jacuzzi, bar, lounge area, bar chairs and sun tent. 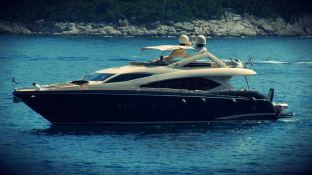 The crew of the yacht Sunseeker 86 will be in your care for an unforgettable rent along the coast of Croatia.This motoryacht is available for yacht charter with a base price of 38 000 € (approximatly 42 855 $).